Writing pens have evolved a lot over the past few years. 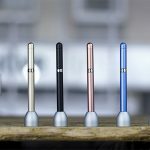 Here we’re talking about the latest innovation pens on Kickstarter. One of the remarkable pens has grabbed my attention — the implementation of magnets in the mechanism of the pen. Pens like these have never been invented before, therefore, it has attracted lots of eyeballs in the community. With the previously successful Kickstarter campaign raised more than $100k, Magno Ink is now back in style. 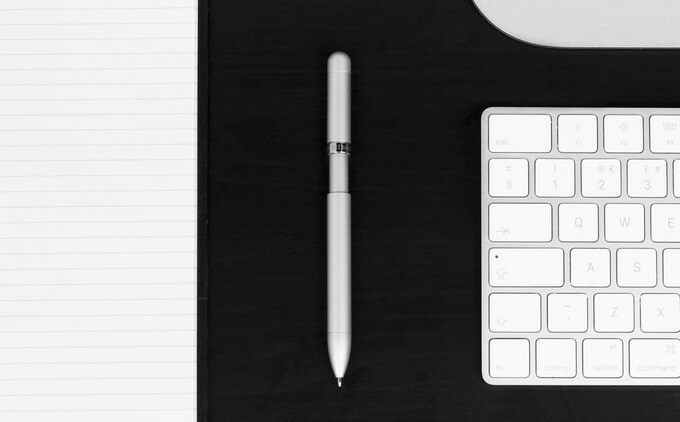 This affordable luxury pen has engineered in a way that it’s perfectly poised for office use and is not heavy like most other conventional pens. It is also comfortable for hours of writing work. 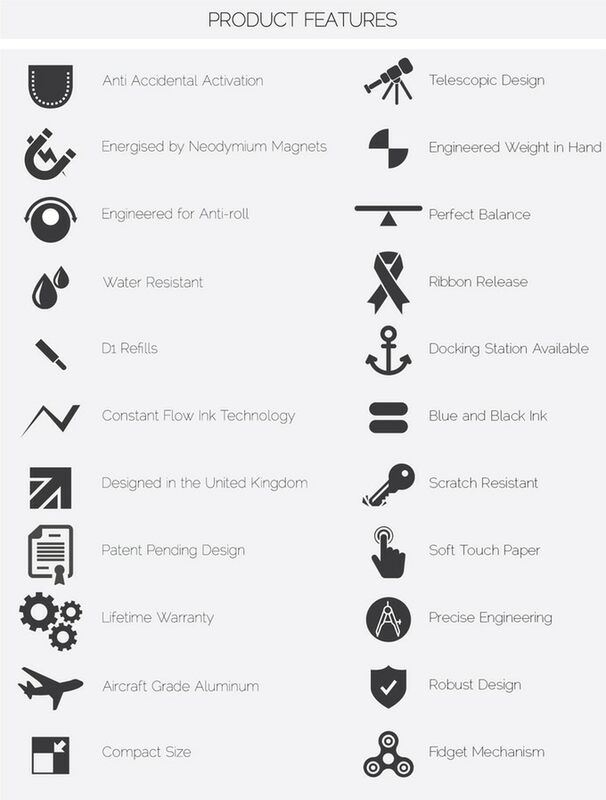 Magno Ink is designed by engineers who first worked at the technology giant Dyson before they bought their own design studio in the UK. They are now creating different innovative products with their Magno Ink as the flagship product. The co-founder of the Hribarcain Company, Matthew Aston Cain announced that a new design iteration was made to the Magno Ink and it will now be compatible with traditional ink cartridges. How is Magno Ink different from the others? Custom Presentation Case: This magical pen is packed in a beautiful custom presentation case which makes it stand out and unique in compared to the other pens. The casing highlights the uniqueness and is a lavish gift idea for loved ones. This particular feature is requested by backers and the founders introduced it in response to community’s preference. 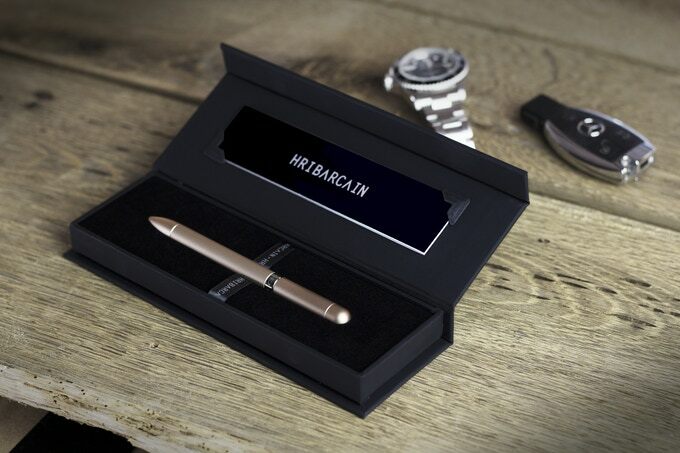 Who wouldn’t want a pen with a custom presentation case? Water and Scratch Resistant: The Magno Ink pen is scratch and water resistant. This makes them ideal for all kinds of task in both office and works field. Even in cases where the pen accidentally falls into any liquid, Magno Ink has got your back. For the scratch resistant, the strong and smooth outer case serves as a strong barrier preventing your pens from getting a scratch. 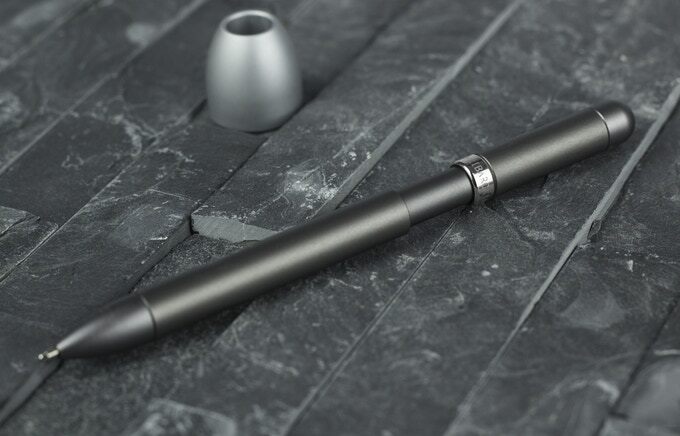 Unique design: This pen is 139mm long (extended) and has a sleek appearance, very slim and beautifully designed. The Magno Ink offers one great feature that attracts a lot of buyers — The satisfying telescopic design. It is engineered to work like a telescope when you roll the body it pushes the tip in or out. You will never get this pen mechanism elsewhere in the market. Offset Centre of Gravity: This feature prevents the Magno Ink from rolling on the flat surfaces. This unique feature can only be found in Magno Ink pen, we have never seen any other pens that don’t roll on a flat surface. This makes the Magno Ink a great pen to own and will change the game completely. This particular feature is so cool that we can say other companies will soon produce the similar pens that anti-roll too. Aircraft Grade Aluminum: The material used for the body construction of the Magno Ink is the same lightweight and strong aluminum used in creating aircraft parts. This makes the pens durable and lasts a lifetime. 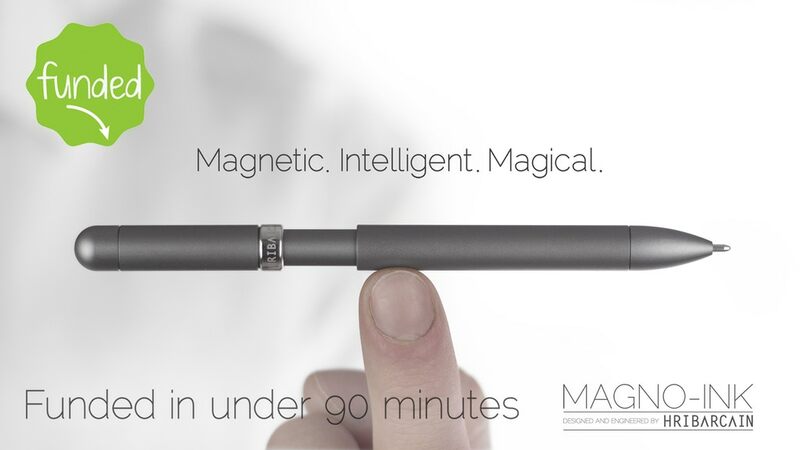 Energized by Neodymium Magnets: This feature is the man reason of why the Magno Ink regarded as a magical pen. The pen houses two ink cartridges and can be rolled to interchange the inks. It uses multi-magnet propulsion system giving positive feedback when the pen is retracted or extended. Perfect Weight Distribution: This affordable and Intelligent ink is also light in weight. It is designed to be very comfortable when in use for an extended time. Most luxury pens are heavy to hold and not making the writing an easy task. But with the Magna Ink pen, you barely feel any weight! Magno Ink Docking Station: This is an additional feature which comes with the pen, you can keep your pen upright on your desk when you are no longer using it. This cuts down the number of times you need to put the pen into its casing. It is also an easy way to ensure that you never misplace your pen because it will only be docked in the station. Lifetime Warranty: The company that produces and distributes the Magno Ink offers a lifetime warranty on all the products. If you ever find your pens no longer working for any reason, always head back to their website for a new replacement. Affordable and for everyone. It is now available on Kickstarter for only $36 under their early bird reward. It is meticulously engineered and made from durable aircraft materials, which makes it last for a very long time. It has a stylish, modern and sleek design for both casual or professional use. The well-thought anti-rolling feature offers an offset center of gravity gives you less trouble when placing it on any flat surface. It is lightweight, very easy and comfortable to carry. It comes with extra features, i.e. luxury casing and docking station. Double as a fidget toy. It is available in 6 distinctive color finshes — strawberry gold, arctic frost, midnight black, ocean blue, slate grey and champagne gold. The Magno Ink doesn’t have a clip on for people who would love to carry the pens in the shirt pockets. The range of colors and design options is limited. A lot of new and returning backers are quite happy about this 2nd version of Magno Ink. Judging from backer’s response, it is not surprising that this campaign has been funded within just 24 hours and is now having more than 800 backers on board. The reviews were mostly positive with a lot of backers requesting for more color and design option to choose from. Another customer suggested that the body of the pen should be made with different materials, such as Titanium and Cooper, to have a more luxurious look and handling feel. Like the Modern Fuel full metal mechanical pen mentioned in the other article. Also, some backers suggested that a clip on the pen will serve a better purpose for those who love to clip their pens to their pockets. For that, the creators have promptly responded to that question in which they are already working on a clip design which will be launched soon. assured their buyers that a newer version of the pen will be coming out soon with more unique features than the current one. Helpful FAQ section — The answer you may want to know. Is the pen the same diameter as the pencil? If so, can the Mango pencil base fit the Magno Ink? The atom is different to the pencil as the pen diameter is larger. What is the dimension of the pen when it is extended for writing and what is the weight of the pen? The pen has a weight of 113g and an extended length of 139mm. Does it work with D1 gel pen refill? Yes, it can work with any D1 refill. Is it the Mini D1 ballpoint refill or a customized size refill for just this pen? They are custom made Ink cartridges. The Magno Ink is an elegant, unique, yet affordable luxurious ballpoint pen for any use. It is custom made with its own cartridges with a D1 refill. 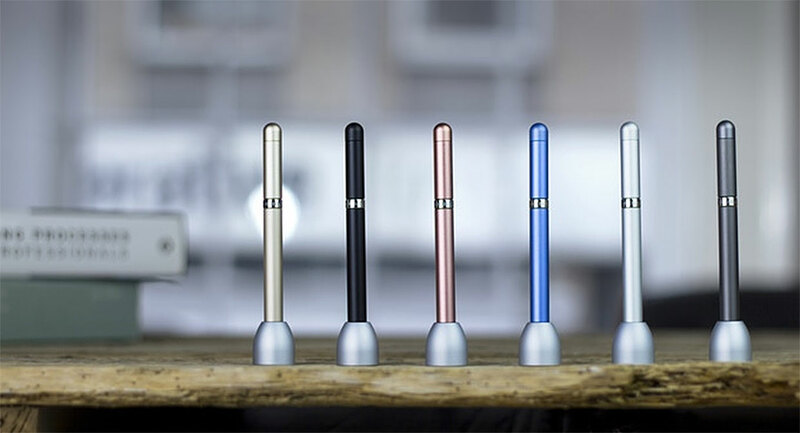 The pen comes in 6 different colors and more features/improvements are coming in its way before getting into the hand of all the new and returning backers. Certainly, there are lots of luxurious pens in the market ranging from a few hundred to thousands of dollar. However, If you are looking for a unique yet under $100 affordable pen as a gift, Magno Ink will then be your best investment that will surely get you back a big smile on your loved ones. Beautiful casing and docking station.